Snowfall over the weekend came at it’s earliest for over 17 years in Stoke-on-Trent, and weather officials are warning the worst is yet to come. 1.5 inches of snow fell in parts of Staffordshire, with Tuesday and Wednesday predicted to bring around 8 more inches of snow. 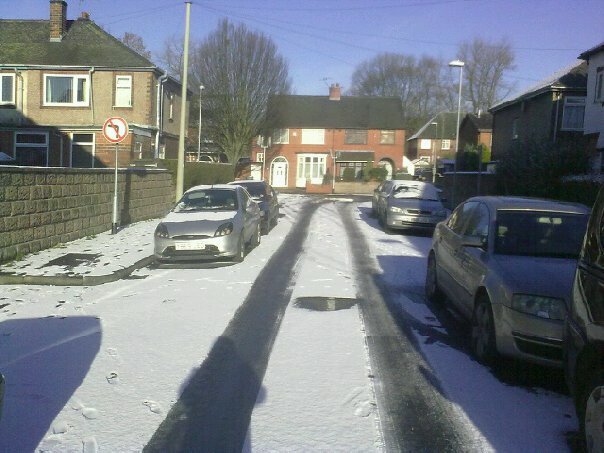 The snow has already impacted upon people living in Stoke. Malkit Kang, 19, Queen Anne Street, Shelton said, “The snow has completely ruined my weekend. I was supposed to be going home Saturday, but my family couldn’t travel up because the snow was too bad. The snow has also affected revenue for the local businesses and shops around the area. S.S. Dhanjal, who works in Sunny Store, Ashford Street, Shelton said, “People are not coming out due to the weather. It’s slippery and frozen so people are avoiding leaving the house. Taxi firms are also being affected by the freezing conditions. Mr Ahmed, 32, who works for Hackney Carriages, refuses to work when it is snowing. “If it’s heavy snow I won’t work. This is because of safety issues. You can’t guarantee the other road users will be in control of their vehicle, and if they crash into you not only does it cause problems for me and my fellow drivers, but also the passengers in the car. Over previous years snowfall has literally halted the country; with a harsh winter expected will Stoke be prepared? Yep, that’s right. 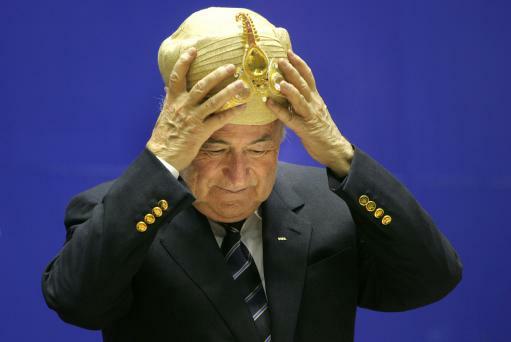 Another blog about Sepp Blatter, the head of footballs governing body, FIFA. This time he has caused outrage by suggesting gay people- homosexuals and lesbians, should refrain from ‘gay activity’ if they go to the 2022 Qatar World Cup. I have already made my opinions clear about the decision to award a country like Qatar the world cup, but ironically Blatter has opened up further potential problems with this unthoughtful comment. For a start FIFA have created problems for themselves by awarding the world cup to a country which hold prejudices and laws that conflict with the rest of the world. Laws against homosexuals and lesbians restrict people’s human rights, and are quite frankly ridiculous in the 21st century. This threatens to overshadow the whole of the 2022 world cup. Blatter says what he wants, when he wants, as he pleases. This is definitely not suitable, considering he is supposed to set an example to the rest of the sport. Quite clearly he has caused outrage with his recent comments, persecuting the whole of the gay community in a sense. This will surely raise further questions about his suitability to run FIFA. NBA star John Amaechi, who was the first basket baller to publically reveal he was homosexual, has been deeply offended by Blatter’s comments. He said, “Anything less than a full reversal of his position is unacceptable and if the FA and football and sporting associations around the world fail to acknowledge this insult, they too will be complicit.” Something I have to agree with. Speaking for many English football fans, it would be fair to say, England do not like Sepp Blatter, or FIFA at all for that matter. Considering we are supposed to be ‘the home of football’, we don’t get treated with the respect we deserve. Various decisions, including the farcical world cup bidding voting process have gone against us as a nation recently, and this leaves me questioning what is the point? I would absolutely love us to leave FIFA, but then I realise, who would we be able to play football against then? The sad answer is no-one. Because of this reason we will always be tied to FIFA, let’s just hope when a new president takes over they have morals and a better understanding of the game than their predecessor. To watch the video of Blatter click here. Well, Sepp Blatter has branded England bad losers, after the nation complained after only receiving two votes. He says FIFA are a fair organisation and aren’t corrupt. How can a fair organisation promise votes to a bid team, only to lie and vote for other bids? How is that a fair organisation. It is not fair to lie to people, and make them waste vast resources on an unsuccessful bid (England are rumoured to have spent over £13million putting together the bid.) If that is the case, this whole process has been a complete waste of time for the whole of England. Many people were excited and hoping to host the 2018 World Cup. 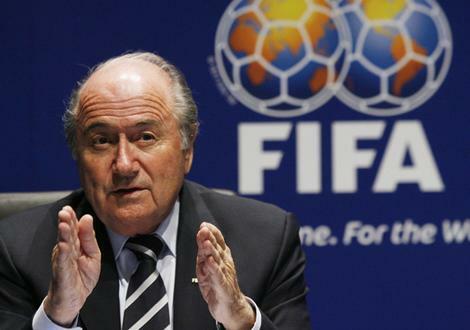 Only to have their hopes dashed by the controversial president of FIFA, Blatter. I for one am not his biggest fan. For a start, as the governing head of football FIFA should be impartial and show no favouritism. Therefore is it really acceptable that Blatter can come out and say things like this? Clearly the power has got to his (fat) head, and know he rules like a dictator. I cannot wait until Blatter’s term ends, as to be quite frank, I am sick of his presidency. I don’t agree with his ideas, and I believe he is taking football backwards. The sooner he is gone the better! These are the comments Blatter made… make up your own opinion. “To be honest, I was surprised by all the English complaining after the defeat. England, of all people, the motherland of fairplay ideas,” Blatter told Swiss weekly magazine Weltwoche in an interview released ahead of publication on Thursday. Russia to host 2018…What a disgrace. Well, I have recently just saw that Russia have been given the right to host the 2018 Fifa World Cup. It’s a sorry state of affairs when the home of football can’t host the biggest event in football. I must say, as a huge football fan this has left me feeling very angry. For one, many of Russia’s stadiums that are being used for the world cup haven’t been built. This means the Fifa delegates who voted on their bid have based their vote on video technology of the what the stadiums might look like. To me, this is an absolute joke. Who the hell knows how a stadium is going to turn out??!! Also, look at all the problems Wembley had with the turf after it was built. Who’s to say the same thing won’t happen in Russia? Secondly the fact we sent a royal prince, and the Prime Minister David Cameron and STILL got eliminated in the first round of voting seems to suggest we’re never going to host the world cup. What is it Fifa have against the English? This was the England bid video. On a side note, to complete an absolutely farcical day Qatar were awarded the 2022 World Cup. Why does the world want to see a World Cup in Qatar? Please tell me… For a start the Qatar national football team are awful. They have never qualified for a world cup, and never will. Apparently the bid team impressed the Fifa delegates with the idea of knocking the stadiums down after 2022 and giving the parts to third world countries. While this is a nice thought, it’s probably because Qatar will never need a football stadium again. Do they even care about football? Or Association Football as those posh idiots at Fifa call it. For me this is a very sad day, this proves the roots of football have been lost, and the idiots in charge at the top don’t have a clue with what they are doing with it. I can’t get enough of Drake recently. I’ve been listening to his music for about half a year now, I didn’t know much about him until I listened to his album ‘Thank me later‘. I’ve got to be honest before I sat down and listened to this I thought he was overrated. After listening to the album, I thought he was a genius. The way he can paint a picture with his lyrics and tell a story with such smoothness is fascinating. His flow is relaxing and something many people feel like they can relate too. The Canadian born singer is currently working on a new album, entitled ‘Take Care’. This is scheduled to be released in either March or April next year (2011), there is already a lot of hype surrounding the new album. 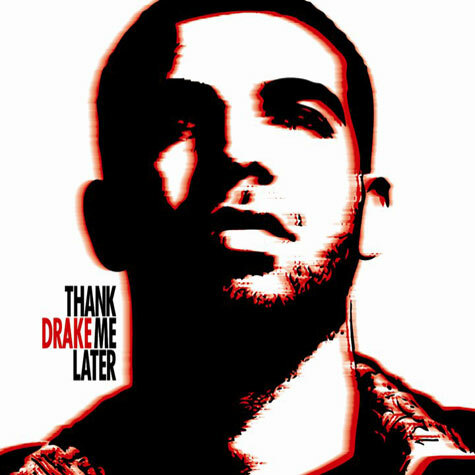 Mainly because ‘Thank Me Later’ turned out to be such a huge album. Virtually all of his tours in the UK are sell outs, proving that Drake is a universal star. He recently won GQ’s man of the year, highlighting the influence the music industry has. The lyrics in the title of the post are taken from the rappers recent collaboration with Lil Wayne ‘Right Above It’. Clearly Drake is a source of inspiration for many people and it will be interesting to see if he can keep up the good work. First piece of work published! As a studying Journalist the aim is to always get published. I recently covered a young and upcoming striker, training with the Kidsgrove Athletic FC reserves. Hoping to break into the first team, click the link here, to learn about how he hopes to break into the first team. I was pretty surprised to see it published, as I had never ever been published before. I tried with a few local newspapers from home, but they all knocked me back. So to eventually get published, even if it is a small site, is quite a nice feeling. It also inspires me and motivates me to try and get more published! Fingers crossed I can get some new material published. Recent figures released from the government show that there has been a decline in the number of homicides involving knives or other sharp instruments in the United Kingdom. However recently a man was stabbed outside Walkabout, Hanley, Stoke-on-Trent. The man later died, and the incident has sparked fresh debate about whether knife crime in the Staffordshire area is on the increase. In 2007-08 the number of homicides were 270; this has fallen to 252 in 2008-09. However, this statistic is somewhat misleading as there has been an increase in the number of attempted murders with a knife or sharp instrument. This has risen from 245 in 2007-08 to 271 in 2008-09. 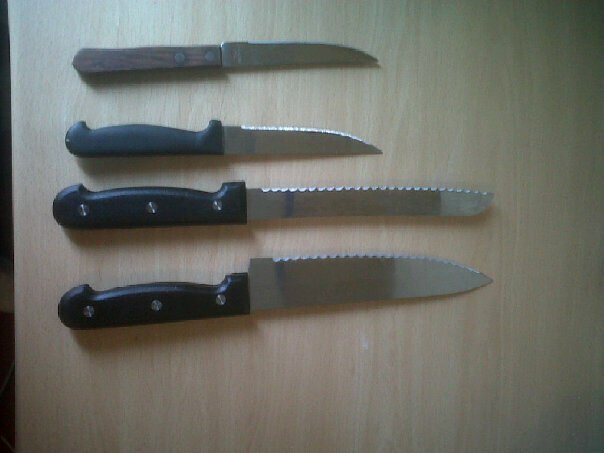 There were 219 recorded offences involving knives in Staffordshire alone between April 2007 and March 2009. This involves the tragic case of Christopher Deakin, the 36 year old father who was stabbed to death. Further figures from the government say that 80% of all knife crime happens in only a few areas, mainly London, Leeds and Glasgow. This raises the question about whether knife crime statistics are misleading when compared to the Staffordshire area.